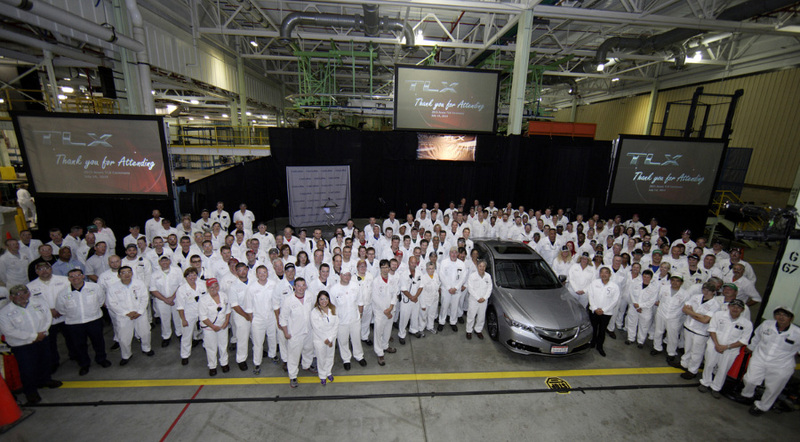 Performance Acura (St. Catharines, ON) – All-new 2015 TLX available at Acura dealerships this August. 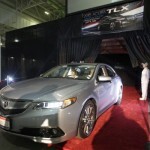 Acura announced that the all-new 2015 TLX performance luxury sedan will arrive in Canadian dealerships (including Performance Acura) this August. The all-new 2015 TLX was designed to deliver a unique and compelling blend of sports-sedan athleticism and premium luxury refinement, appealing to a broad cross-section of luxury sports-sedan customers with a wide range of powertrain and drivetrain options. The TLX lineup features three distinct model offerings that carry a long list of standard luxury comfort, convenience and safety features. 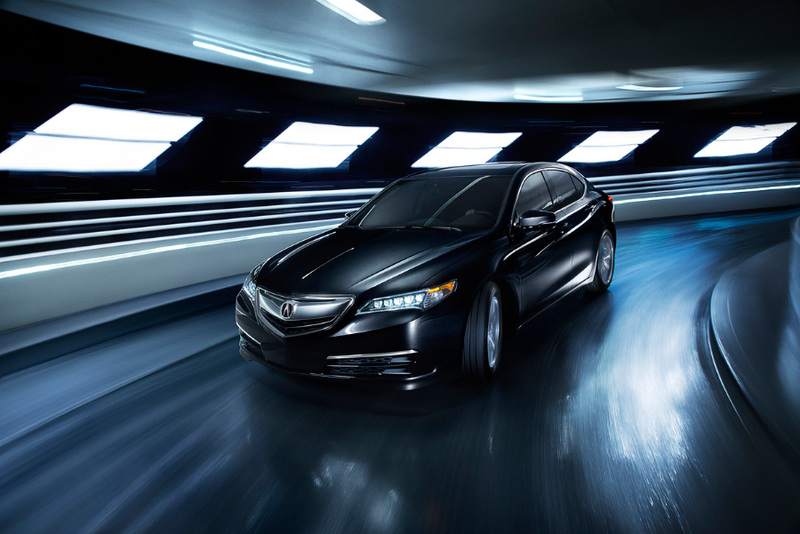 All TLX models can be upgraded to the Technology Package and the V-6 models are available with the line-topping Elite Package. The 2.4-litre model will arrive in Canada beginning in August. The 3.5-litre P-AWS model and the 3.5-litre SH-AWD model will follow at a later date. The next-generation SH-AWD system is 25 per cent lighter and friction is substantially reduced. The new rear-drive unit is constantly overdriven by 2.7-per cent (compared to 1.7 per cent on the previous system), with a greater torque-vectoring effect across a broader spectrum of driving situations, further enhancing cornering capability at lower speeds and in tighter-radius corners. All TLX models also feature the latest development of Acura’s Integrated Dynamics System (IDS), which allows drivers to customize their driving experience through four selectable modes; ECON, Normal, Sport and Sport+. Depending on the setting, IDS will adjust power-steering effort, throttle response, transmission shift logic, HVAC system operation, active sound control and the control logic for either the P-AWS or SH-AWD systems. The new Sport+ mode, a first for Acura, unlocks the full performance potential of the TLX with the most aggressive settings in all areas. The TLX equipped with the 2.4-litre engine is expected to receive a fuel-economy rating of 9.6/6.6/8.3 L/100km city/highway/combined. The TLX two-wheel-drive with the 3.5-litre V-6 has a fuel-economy rating of 11.2/6.9/9.3 L/100km (a 5%/15% improvement in city/highway versus the outgoing two-wheel-drive 2014 TL). The TLX SH-AWD has a fuel-economy rating of 11.2/7.5/9.5 (a 12%/17% improvement in city/highway versus the outgoing 2014 TL SH-AWD). Unlike other luxury vehicles in its class, the TLX offers a number of compelling features as standard equipment across the TLX lineup, including Jewel Eye™ LED headlights, Smart Entry and pushbutton ignition, rearview camera, Hill Start Assist, power moonroof, dual-zone automatic climate control, and a 10-way power driver seat including 2-way power lumbar support and 2-position memory. Further, the TLX Tech and Elite trim levels add a host of available features, including Premium Milano leather-trimmed interior, a remote engine starter, heated rear seats, a heated steering wheel, LED fog lights, and more. 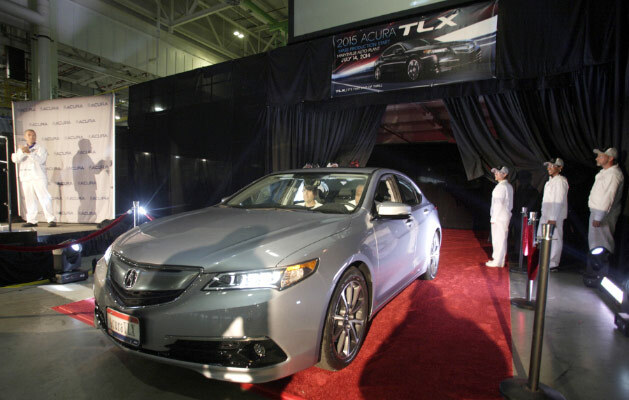 The 2015 Acura TLX will also be available with a suite of safety and driver-assistive technologies, including the Collision Mitigation Braking System™ (CMBS™), Forward Collision Warning (FCW), Lane Departure Warning (LDW), Lane Keeping Assist System (LKAS), Adaptive Cruise Control (ACC) with Low-Speed Follow and Blind Spot Indicator (BSI). The TLX’s lithe new exterior design features taut body surfaces, dynamically sculpted fender arches, and purposeful character lines. Its sporting appeal is further highlighted by its more compact sports-sedan proportions (97mm shorter in overall length than the 2014 TL) and Acura’s signature Jewel Eye™ LED headlights that are standard on all models. The spacious five-passenger interior of the TLX provides a high degree of refinement, luxury and technological sophistication while supporting an exhilarating driving experience. An abundance of luxury features and technologies is available on the TLX, including ventilated front seats, Acura Navigation System with 3D view, and AcuraLink® Real-Time Traffic™ with Traffic Rerouting. A 7-inch On Demand Multi-Use Display™ (ODMD) touch screen, located in the centre console, controls these and other features, and, with its contextual menus, displays relevant items while minimizing instrument panel clutter. Also available on the TLX is the next-generation AcuraLink®, Acura’s cloud-based connected car system, offering Acura owners a broad range of cloud-based and embedded convenience, connectivity and available security features. All TLX models also come equipped with Siri Eyes Free technology that, when paired with a compatible iPhone®, allows the driver to control functions using familiar voice commands. Additional standard and available luxury features include one-touch turn signals and power windows, power driver and front passenger seats, GPS-linked automatic climate control, Colour Multi-Information Display (MID) with turn-by-turn guidance, LED accent lighting, and USB connectivity.